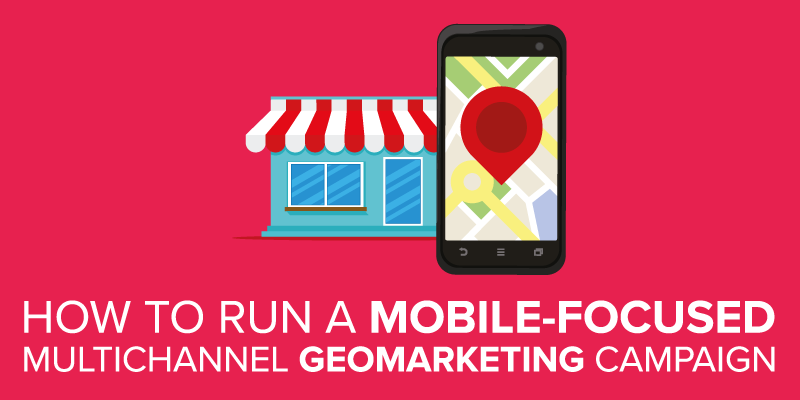 Location matters – and geomarketing is a huge deal. 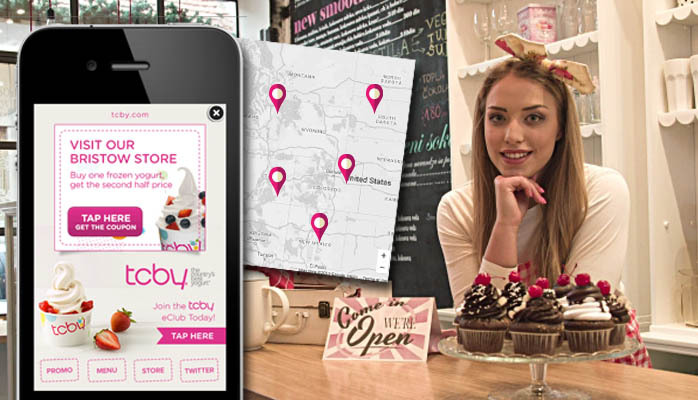 Location-based marketing campaigns can take a number of forms. Maybe you’re using geo-fencing to promote your lunch special to potential customers within walking distance of your restaurant. You could also promote tomorrow’s live entertainment to guests staying at a certain hotel. You could even target customers near one of your competitors’ outlets. There are plenty of options, which we’ll examine more closely in a moment, but geo-targeting always boils down to one simple concept: getting your message seen at exactly the right time and in precisely the right place. In 2016, approximately 1.5 billion smartphones shipped globally – that’s more than PCs, TVs, gaming consoles, and tablets… combined. While it’d be tempting to broadcast to all those millions of devices, where consumers are much more receptive to advertising than they are on their desktops, many of those messages will inevitably fall on deaf ears. Why spend money advertising a cafe in London to people who are shopping for auto parts in Suffolk? geomarketing allows you to target potential customers much more accurately. Since you can get hyper-specific – like Wal-Mart offering coupons or now-only discounts to consumers in or around their stores or Google prioritizing events and retailers near users’ real-time locations – you can dramatically increase your marketing spend’s efficiency by focusing on your most likely conversions to dramatically reduce your CPC (cost per click). Lower costs, better returns (who doesn’t want that?). 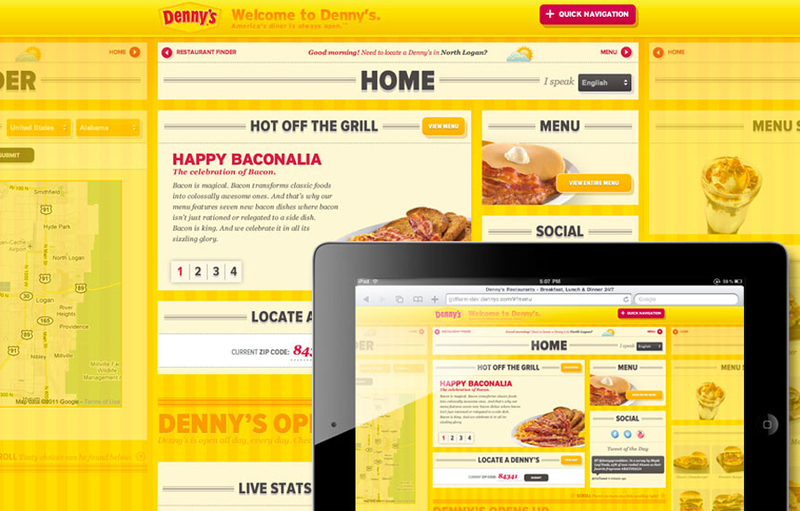 You can also get creative, like the popular US restaurant chain Denny’s did: rather than just targeting anyone and everyone within range, they began monitoring which users actually visited one of their locations, and how often, then focused on those customers – even if they weren’t actually near a Denny’s store. The result? Wow – a 34% rise in real-world visits, thanks to an online campaign. Not just that, but the data they were able to gather helped them build more detailed customer profiles on which to base all their other marketing initiatives. Not bad! Speaking of data… how exactly does location-based marketing work? 2.1 Step One: Define Goal. 2.3 Get creative. Be interactive. 2.4 Keep the emphasis on location. 2.5 But make things feel personal. 4 What platforms work best for geomarketing? 5 Should your business start location-based marketing? By setting up a virtual perimeter based on a physical location – like your café in London – and serving mobile ads within it, you’re more likely to reach consumers who are both interested in and capable of accessing your services.Hyper-local social media is a great example of this: you might offer a coupon to anyone who’s previously “checked in” (using any number of apps and platforms that offer this feature) at your location, each time they return to the area.You could also target pedestrians in the park at lunchtime – offering hot soups when it’s raining, for example, or promoting your sports shop’s latest arrivals. This is sort of an offshoot of geofencing – it works the same way, only this time you’re going to target your competitors’’ customers specifically.Simply set up your perimeter around their location. You know the people browsing an electronics store are actively shopping for gadgets (or accessories), so why not pre-emptively show them your wares… when they’ve already got their wallets open? Meat Pack, a popular department store in Guatemala, made excellent use of geo-conquesting way back in 2012 – they fenced in their closest competitor and poached customers so handily they won the Cannes Lions award for their ingenuity. Here’s the biggie: the 5 W’s (who, what, where, when, and why) of every location-based marketing initiative. Because without those, it’s all just a guessing game. Social media – especially check-ins – plays a huge role in determining the messaging you broadcast and who receives it, but it’s not everything. Most mobiles today feature always-on location tracking whether by nearby Wi-Fi networks, GPS, or cellular network-based triangulation. This can tell us much more than “who’s around” – we can, as in the Denny’s example above, begin to define individual user habits, behaviour, and even connections.For example, nearby users who regularly frequent a certain gym would be much better targets for exercise-gear promotions than those who eat fast food six times per week (on second thought, maybe not…). And if Steve’s into photography, as evidenced by his regular visits to the camera shop? Odds are his friends share similar interests.Creativity is key. Location data can reveal surprisingly deep insights into users’ needs, wants, and habits. This knowledge lets us help them – and ourselves – more effectively, from loosely (or un-)related groups right down to individuals. Every marketing initiative needs a clear, measurable goal, and geo-targeting’s no exception. What is it you want to achieve? With goal in mind you can set about creating the steps that lead to it. To decide what those should be, it’s helpful to first consider your customers – you’ve likely already done a great deal of this in establishing your brand and its messaging, but it’s time to go deeper. Think about your typical customer. What do they do, and when are they most likely to be using a mobile device? Office-bound types are far more likely to respond during evening or other off-hours, when they’re free to do so and looking for ways to enjoy their free time. IT types are pretty much fair game all day long – but what about students or tradespeople? Travellers? Athletes? Bar-hoppers? This is where location data can make or break a campaign. If you know your prospects are desk-bound during business hours, they may pay little attention to even the best-crafted campaign. That said… how about lunch hour? Their stomachs are rumbling and they’ve got precious little time to fill ‘em, so the first front-and-centre restaurant’s going to get the lion’s share of walk-ins. If they’re out crawling pubs every Friday, yours should be in front of them while they’re choosing a destination. That means afternoon social media – or geo-fencing the downtown district to entice them through your doors before they wander off somewhere else. You can also plan ahead, using suggestions and incentives in advance, and add interesting, interactive hooks that don’t feel like “just another ad” to your customers (because really, that’s the last thing they want. Give ‘em something they can enjoy!). One simple message… so many chances for conversion. And the widely-praised campaign spread like wildfire. Keep the emphasis on location. You don’t have to (and probably shouldn’t) limit your marketing to a single, geo-fenced location, but do keep in mind the importance it plays. Some businesses go naturally hand-in-hand. A barbershop targeting or salon targeting ads toward people shopping for formalwear isn’t going to poach any customers away – but they are highly likely to reach consumers who will have a need (or desire) for their services in the near future. This could be a great opportunity to have them book an appointment on the spot, in just a couple of taps, and get an automatic reminder day-of. Co-marketing based on location can be highly effective – think discounts on complementing products and services, or other value-added perks that help everybody win; especially consumers. If you’re selling a luxury product or service, it’s wise to allocate a larger budget to affluent neighbourhoods or upscale venues. A bed-and-breakfast might do better focusing on train stations or even airports – places where travellers may be actively seeking out options already. Even locations within locations can make a difference: a food-court kiosk may want to focus indoors, but a quick message in the parking lot can make the difference between losing an impulse-buyer to a competitor and inspiring a craving for something on your menu. But make things feel personal. We all like to feel as though we matter to the businesses we choose; like they understand what we want and strive to provide it to us as individuals. And when they do, we stick around. You know – brand loyalty. There’s a line to draw somewhere here. While 43% of UK consumers (and 54% of their US counterparts) are happy to share personal details with businesses to help them receive offers more aligned with their individual tastes and habits, another 25% perceive this as impinging on their privacy. Since mobile devices are like always-on pipelines to individual consumers, small and medium businesses that target personalized offers to customers often receive much better responses than they do with blanket-broadcast promotions. Just… don’t be creepy, eh? Collect only the data you need to tailor your services and be transparent about what you intend to do with it. Does this take a bit of time and effort to set up? Sure. But once you’re up and running you’ll find it’s absolutely worthwhile. Building a mobile app for your business opens up a whole new world of personalization options thanks to advanced (but non-invasive; always non-invasive) data collection capabilities and can transform your geomarketing from simple display ads or SMS campaigns into a media-rich, interactive experience – plus, if a user has already downloaded your app you know you’re reaching the right people at very little additional cost. Geo-targeted marketing allows for an unprecedented level of multi-channel customization (more about those channels in a moment). It can seem daunting at first, but once you’ve gotten the hang of it you’ll wonder why you didn’t start sooner. We’ve already talked about its basic tenets (geo-fencing, geo-conquesting, and data-based targeting). Let’s take a look at some practical applications for these premises, and how they can dramatically improve both user experience and bottom line. Most display networks, including Google and Bing, are geomarketing-capable (in fact, Google’s been doing this for years). If a user in London searches for local attorneys, they aren’t going to turn up offices halfway across the country – at least not on Page One, which is probably the only page they’ll view anyway. 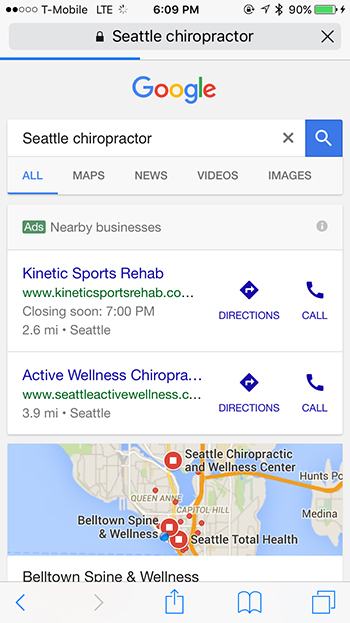 Optimize your messaging with location-specific keywords to enjoy better ad placement and search ranking. Small businesses with physical stores generally build up a local following to begin with – trendy cafes, posh spas, chic retailers and so on rely heavily on friends’ and neighbours’ support. This is location-based marketing, too, so keep your accounts and profiles updated and optimized to get found in local results. Incentive programs can go a long way to helping boost word of mouth, and an online check-in system essentially equates to free advertising for you (plus an easy opportunity to recognize, interact with, and reward your best customers). Take advantage of real-world events like heat waves or rainstorms to position your products or services as solutions. Hot outside? More people will be headed to the beach this weekend. Don’t forget your sunscreen, sunglasses, and swim trunks! On rainy days you can dramatically boost footfall into your café with a quick note about today’s delicious hot soup. Upcoming holidays can be a perfect opportunity to serve relevant ads to people in your targeted regions. Use weather, traffic, and other day-today events to your advantage for a quick boost in sales that can add up dramatically over the year. These are places with naturally high footfalls – think parks, malls, museums, train stations, and events like sports matches, concerts, or fairs. A POI could be your business itself, or somewhere your customers are likely to congregate or pass through. You can prioritize your ad spend on the most productive regions and exclude irrelevant locations altogether, helping keep your costs down and your campaigns focused on the people who matter most to you. Target people where people gather – mobiles in hand – to get a high number of impressions quickly and begin their customer journey. Reminder and sharable campaigns are ideal for this type of targeting. geomarketing doesn’t always have to be local. If you do business online, consider creating location-specific landing pages for your customers – in their local language (you can also use their phone’s default language or country setting to extend the same courtesy to local tourists). In the travel/tourism and hospitality industries, targeting out-of-town train stations and airports can be highly productive, and the opportunities for co-marketing with other venues and attractions are virtually endless. Search history-based advertising can reveal much about consumers’ upcoming plans – if they’re searching for accommodations and attractions in your area, you can reasonably assume they’re planning a trip and may then fit into your campaign criteria. What platforms work best for geomarketing? Google, obviously – they’re the heaviest hitter in the game, with the widest reach and strongest presence. We’re talking 55,000 searches per second worldwide, and their algorithm gives heavy priority to locally-optimized (SEO) listings and ads. You may have to pay a little extra for high-competition regions and keywords, but with the boost in impressions you receive your conversion rate should more than compensate for the overhead expense. Facebook is, of course, a rich source of data supporting over 50 million local physical businesses worldwide. Granular targeting based on interests, age, and a huge variety of other factors – including, of course, location – and a fresh partnership with geo-data giant Factual places Facebook in direct competition with major search engines in helping businesses boost online visibility. Facebook advertising campaigns can be highly economical, and engaging directly with your customers is free. Twitter’s no slouch, either, with upwards of 7,000 tweets going out every second of the day. Some of the world’s most successful brands engage their customers every day on this platform, providing everything from product support and complaint resolution to tips, tricks, and relevant-right-now, personalized promotions. Twitter for Business includes an impressive range of targeting filters equipped for over a dozen languages in countries around the world. Check-in platforms like Foursquare and Yelp are still valuable tools in the geo-marketer’s arsenal, although their popularity appears to be declining. Don’t let that “declining” throw you off, though – Yelp still saw its consumers make over 20 million transactions in 2016. Check-ins increase organic exposure when users’ friends see their activity, and provide a convenient way to identify your existing customers so you can reach out to them in the future. A mobile application for your business may be the ultimate tracking and retention tool for geomarketing initiatives, not least because, according to ComScore, users spend 89% of their mobile device-time in applications, and just 11% browsing the web. A business app is a fully-branded environment dedicated to you and only you – and you know that everyone who downloads it is already interested in engaging with you. With advanced data-collection capabilities and a direct pipeline to your best customers, apps can be far more useful (and profitable!) than any other channel. What are the primary benefits of geomarketing? That’s easy – it’s all about the numbers. Reaching your target audience as effectively as possible at a lower cost and with higher conversions than traditional strategies make geomarketing a standout winner in the mobile space. 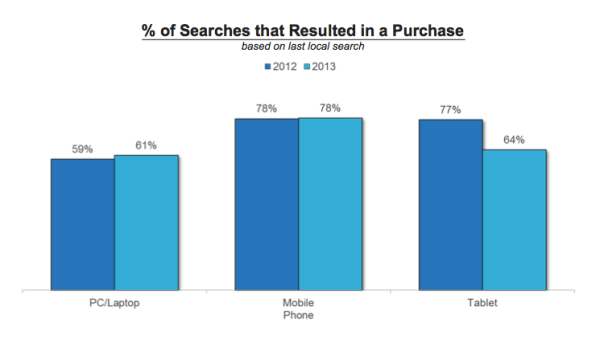 After all, mobile consumers click (tap) more ads and 78% of local-mobile searches lead to an offline purchase. Since none of us are getting any younger and millennials overwhelmingly prefer mobile devices over desktops – spending 20 hours more per month on the former, though they’re not leaving the latter entirely behind – these trends will neither slow nor stop. Next year, there will be adults walking the Earth who have never known a world without social media, relevant info on demand, and smartphones (unless they have detailed memories of being toddlers). To acquire them as customers, businesses need to provide relevant, meaningful information and engagement when they want it – and not when they don’t. Should your business start location-based marketing? Hell yes. You should start yesterday. And you should focus on mobile-friendly strategies. Desktop use is dropping off rapidly. They’ll be around for many years yet, but their role’s getting relegated to secondary device and workstation. For media and product or service consumption? It’s smartphones all the way. Engage with them in ways they want to be engaged. The combination of location-based advertising and engagement with mobile-focused marketing strategies is among the most potent we’ve seen. 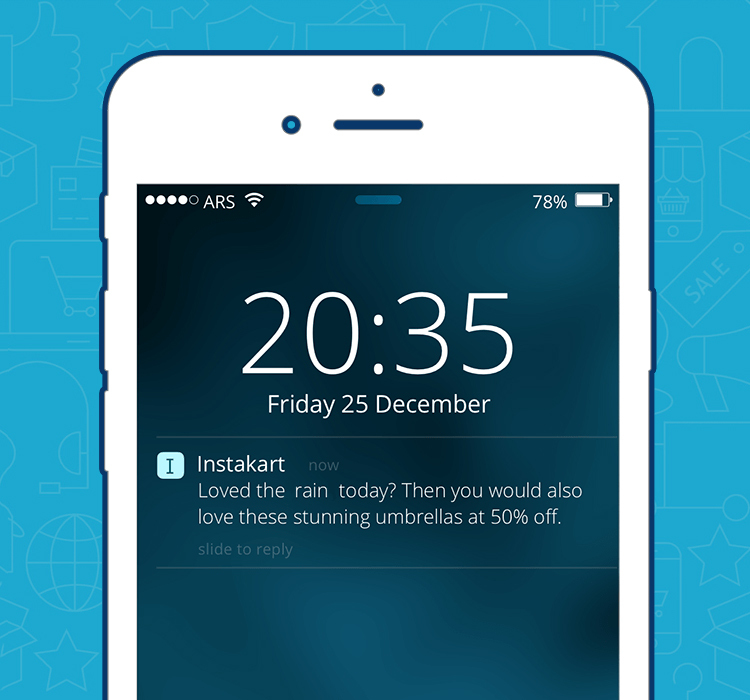 Customers demand relevant information, in the moment, and geomarketing delivers. By targeting your audience specifically, directly, and personally, you demonstrate that your business understands their desires and is happy to engage with them in the ways they prefer. On the business side of things, hyper-local targeting reduces costs while keeping your brand visible when it matters most and to the people most important to you: those who are likely to engage, convert, and purchase. And don’t forget – spray-and-pray advertising is so old-school. Targeting matters more than ever before, so get those messages where they’re meant to go: directly into the hands of your most likely prospects and best customers. Learn more about building your own geolocator app.